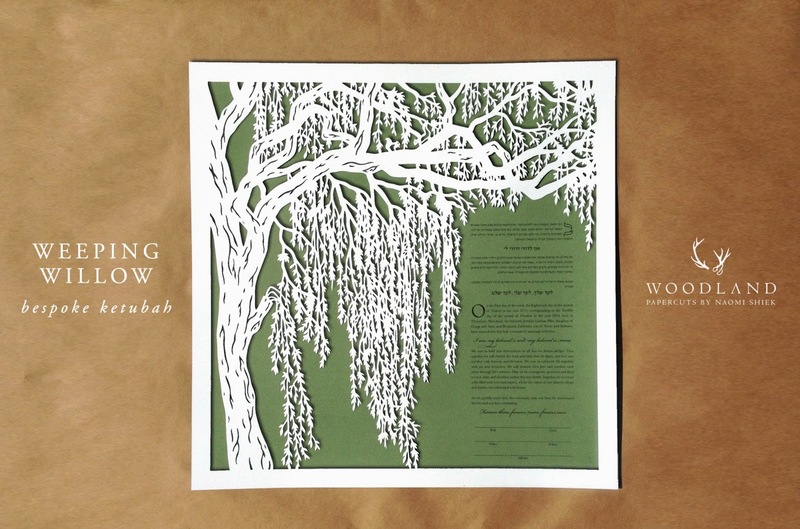 Erin & Jacob had a clear vision for their heirloom ketubah. They wanted a huge, old oak tree from the Savannah marshlands. 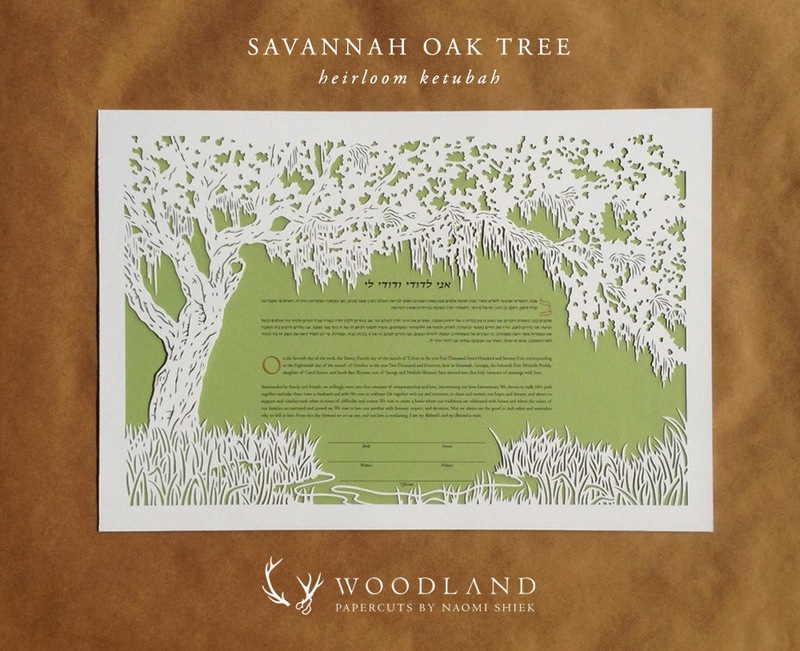 They were extremely patient with me until I found the right savannah oak species and understood how spanish moss looks, which I'm so happy I did because the resulting highly-textured papercut is simply beautiful. 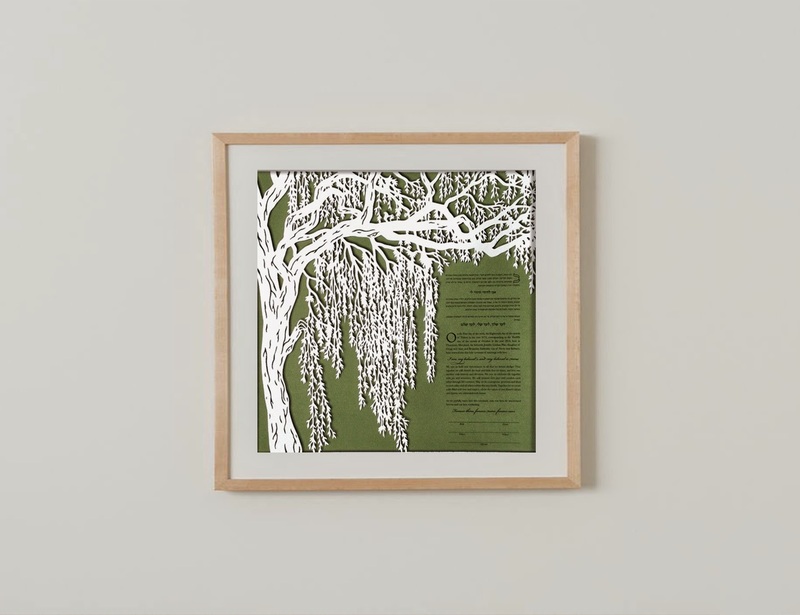 All WOODLAND PAPERCUTS ketubot come with discount coupons for museum-quality custom frames from the famed online frame shop SIMPLY FRAMED! They're the perfect framers for beautiful, enduring frames to match your heirloom wedding vows.